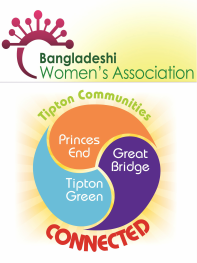 Tipton Development Group (TDG) was established in 2012 by BWA Limited Board as a Programme Development Forum. The Group now has membership of 25 drawn from volunteers, Tipton residents and professionals. The Group meets quarterly to discuss current and future community development programmes that benefits the residents of Tipton and Sandwell. The Vision of Tipton Development Group is to ‘create thriving neighbourhoods in Tipton’ where its residents are happy, proud to live and experience positive outcomes with regards to education, health, employment and prosperity. HOW WILL WE ACHIEVE THIS VISION? Where necessary carry out front-line activities by directly undertaking the different aspects of community led regeneration programmes in Tipton. Community Groups and residents are welcome to join the group.